Lines snaked out the door on the first weekend of operation for Breakfast Republic, which opened June 25 in the cozy structure where Western Steakburger stood in North Park. Owner Johan Engman, who also runs Fig Tree Café in three locations, including Hillcrest, says the Republic’s top sellers thus far are the pancake flights and shrimp-n-grits topped with three eggs. The restaurant, which sports a shiny metal façade, is open daily from 7 a.m. to 3 p.m. 2730 University Ave., 619-642-0299. After a 10-day closure, Crazee Burger has reopened at 3993 30th St. in North Park in a new space that features about the same square footage as its previous location, but with a more open layout and a back patio. The menu remains the same, except for a few additional exotic-meats options that include elk, duck and pulled-pork burgers. 619-282-6044. Remodeling is under way at 3011 University Ave. in North Park, as Heaven Sent Desserts transitions into the space that formerly housed Ms Vintage Clothing Boutique. 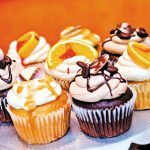 The bakery began operations in 2006 a couple doors away, at the corner of University Avenue and 30th Street. It’s scheduled to reopen by late July and will introduce a slate of new signature desserts and coffee and tea drinks. 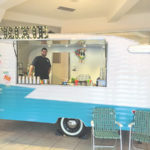 “We’re reinventing ourselves since we will no longer be cooking at our location because we’re using a commercial kitchen in Miramar. 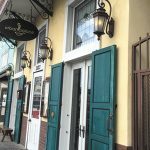 But we’ll have a whole new menu with new and old favorites, such as our Bourbon Street bread pudding,” said manager, Kimberly Harrison. 619-793-4758. 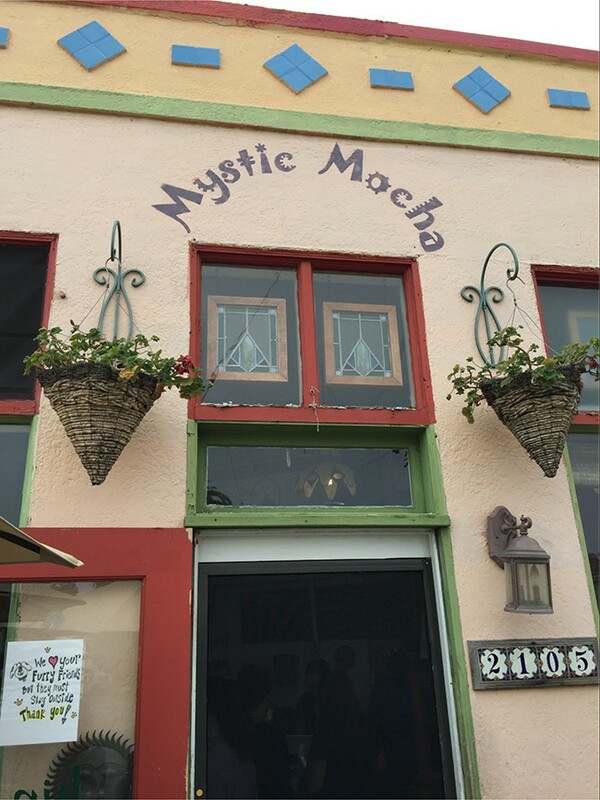 Reorganization has begun at Mystic Mocha, the quaint breakfast-lunch café in University Heights that was purchased in early June by Hillcrest residents Francis Weidinger and his wife, Natalie Buczkowski. 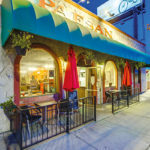 The couple has retained the popular dishes established under two previous ownerships, such as chilaquiles and assorted egg scrambles. But they’ve switched to organic ingredients in many of the recipes right down to the whipped cream used in mochas. A facelift to the structure and its garden-like patio is also underway, with freshly planted flowers and new table umbrellas already in place. Weidinger says the café will close for a few days sometime in July for repainting the interior, after which several new menu items will be introduced. “Our goal is to provide customers with an urban, organic oasis while supplying the menu with better products,” he adds. 2105 Mission Ave., 619-688-0858. The 3,000-square-foot Allegro Bistro in Middletown will close by July 1, leaving open the possibility of a replacement under a different dining concept. The restaurant, annexed to 57 Degrees wine and craft beer bar, launched in October as a breakfast-only operation. 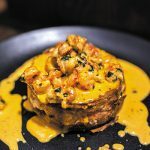 “We will soon begin working with a consultant to explore new ideas,” said 57 Degrees owner, Russ Kindom, hinting that he’d like to see an American-themed restaurant “with Lousiana twists” come in. In the meantime, he plans on utilizing Allegro’s kitchen to add new lunch dishes and entrée-slanted items to 57’s daily food menu. 1735 Hancock St., 619-234-5757. The Hillcrest location of Jack in the Box was the test ground for several changes that were recently made company-wide to popular menu items. 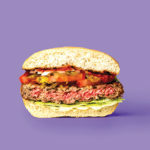 According to employee Led Nives, customers gave their thumbs up to the new pre-seasoned beef patties now used in the Jumbo Jack Burgers and they quickly started digging the toasted, buttered buns used on many of the burgers. In addition, the company has phased out its onion mayonnaise in lieu of “real mayo.” 804 University Ave., 619-298-1273.